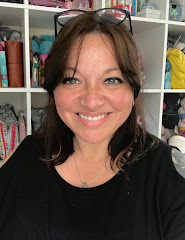 As I always like to give a balanced review, you need to know a few things upfront of today's post: After my mum left the Sewing Bee I was really hoping Chinelo Bally would win (you can read my interview with her here). Having been on set during the final, and seen Chinelo's work up close, it was clear that she has a special something which would lead to success regardless of her position in the competition - she has a true creative flair and an eye for bold fabrics and design. I think this came across to viewers and is the reason the show earned her an army of fans - myself included. So when Chinelo's publisher offered to send me a review copy of her first book, I was delighted. I've tried to be impartial. I may not be. All photos credit: Claire Pepper, used with permission. THE TECHNIQUE: As you might expect with the title of 'Freehand Fashion ', there are no patterns in this book. Not one. Instead it teaches the freehand cutting method Chinelo uses to make classic garments that fit perfectly every time. That is quite a bold claim, but if you saw her on the show, you'll know that Chinelo hadn't previously used any sewing patterns - instead she works from a series of basic garment blocks. These 'blocks' are the foundation for all the designs, and once you know how to draft, cut and construct them, you can mix and match, make your own adjustments and sew an entire wardrobe. The technique is surprisingly simple and uses your own measurements to create everything from simple skirts and tops to stunning evening wear. Chinelo says it took her 3 months to learn this technique from her aunty, but has condensed everything into simple step-by-step instructions which will have you making things very quickly. 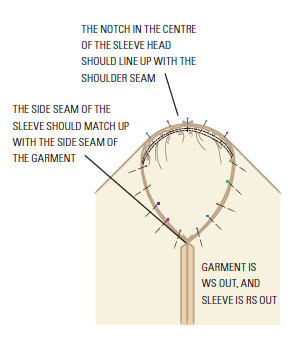 Starting with the essential kit (very little), and basic techniques (seams, finishing, hemming, zip insertion etc) the book is suitable for all levels. Experienced dressmakers who are used to following patterns would find it equally useful, as this traditional Nigerian technique is still relatively uncommon. Even if you are a brand new sewist (or someone like me who has made a couple of basic things and would like to be able to translate your ideas onto fabric without finding the elusive 'perfect pattern') you should be able to follow exactly what to do, as there are lots of clear illustrations. THE DESIGNS: As there are no patterns or size restrictions, the will particularly useful for anyone with a body shape that is not easily accommodated in standard patterns. If you're tall, short, tiny, large, it really doesn't matter - all these designs work with your body, not against it. The designs are classic, elegant and pretty timeless (maxi skirt, wrap dress, pencil skirt...) and they can be made 'fashionable' by using on-trend fabrics - something Chinelo is very good at. My favourite design, and probably the one I'll try first, is this bat wing top. I don't for a minute imagine that it'll look like this on me, but love it! 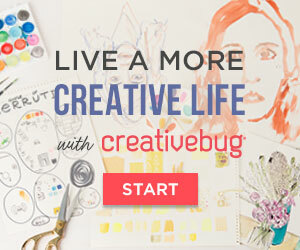 If you are the type of crafter who only ever likes to work from patterns, you will probably find this book a little overwhelming. On the other hand, if you're someone who likes to make things your way, who modifies things, who struggles to find things which fit or suit your personal style, or you just want to dive in without learning to follow patterns that aren't right anyway (this is me!) then this should be right up your street. My guess is that newer sewists might find it easier to pick up this technique than more experienced people who would need to 'un-learn' things they already know (I can imagine it's like learning to knit Continental style when you're a 'thrower'), but I think it's great and am sure it will be a success. You can pick up a hardcover from most good bookshops now, or from Amazon (affiliate), where it's also available in Kindle edition. Thanks for the review. I was intrigued watching Chinelo make clothes without a pattern. Just the pic of the bat wing top has got me adding this to my Christmas list. Any excuse for a new sewing book. Wow. 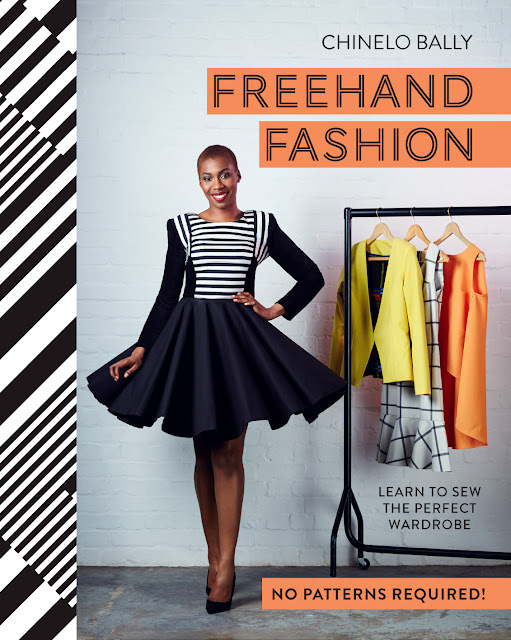 Freehand fashion is the great way to style yourself in a different way. Yes, it really is! It opens up all sorts of possibilities.